The CELLvo matrix is an advanced stem cell culture system that replicates the 3-dimensional "home" in which stem cells naturally reside and proliferate. It contains an extracellular matrix (ECM) of more than 150 proteins synthesized in vitro by bone marrow stromal cells. The final products (6 well plates, T75 and T150 flasks) are cell free and ready to use, consisting of the ECM attached to the surface of the culture vessels. 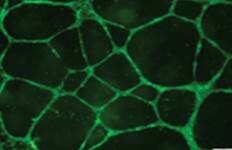 The CELLvo matrix provides a native three-dimensional microenvironment which can be used for rapid expansion of high quality mesenchymal stem cells. It is the only stem cell substrate to closely mimic the full biochemical and structural microenvironment that stem cells normally see in their native environment. The benefits of the unique CELLvo™ Matrix, the only natural cell culture substrate, will be discussed. The webinar describes the current challenges in removing cells from their native tissue and culturing them in a completely foreign environment such as tissue culture plastic. CELLvo™ Matrix addresses this by providing a "home" that mimics the native cell derived micro-environment that they came from. It promotes cell adhesion with better isolation and proliferation of primary cells and enhanced cellular responsiveness to experimental variables. Unlike protein coated dishes, StemBioSys' High Performance Micro Environment is a natural microenvironment produced by cells for cells. The CELLvo matrix has been shown to allow a greater variety of stem cells to replicate more rapidly and with greater preservation of the stem cell phenotype than traditional tissue culture-treated plastic. Multiple studies performed using the CELLvo matrix have exhibited efficient growth of stem cells, opening up potential for research, diagnostic and clinical uses. 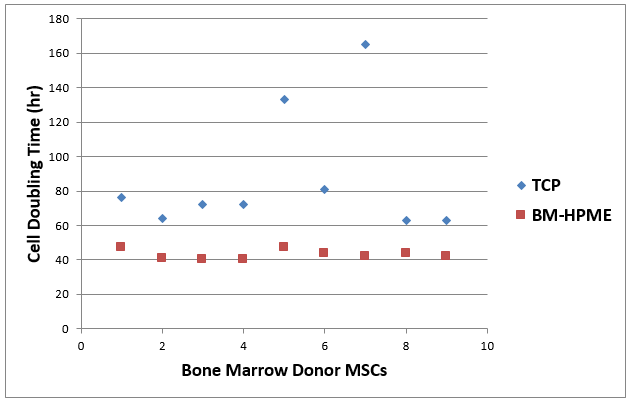 MSCs grown on Bone Marrow - High Performance Micro Environment, compared to Tissue Culture Plastic have a shorter doubling time and exhibit less variation in growth potential from donor to donor. Surprisingly, the standard for the isolation and growth of hMSCs from mononuclear cells (MNCs) is to extract them from their natural environment and plate them onto tissue culture-treated plastic (TCP). TCP is a foreign environment for the stem cells which induces a rapid response including a shift in gene expression and ultimately to uncontrolled differentiation. It is becoming more broadly accepted that greater attention must be directed to the substrate on which these cells are cultured. 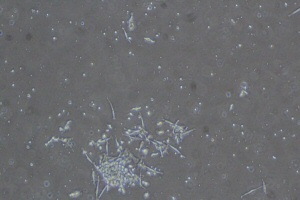 This has led to the development of alternative methods for culture including extracted and purified extracellular matrix (ECM) proteins that can be coated or gelled onto the cell culture surface.1 These substrates still fall well short of mimicking the natural microenvironment from which the cells were extracted. StemBioSys has developed an advanced stem cell culture system that replicates the 3-dimensional "home" or microenvironment in which stem cells naturally reside and proliferate.2 This unique technology enables users to isolate and grow hMSCs from a variety of sources including but not limited to adipose, bone marrow and umbilical cord blood/tissue. Shakouri-Motlagh, O'Connor, Brennecke. Native and solubilized decellularized extracellular matrix: a critical assessment of their potential for improving the expansion of mesenchymal stem cells. Acta Biomaterialia. 2017. Lai Y, Sun Y, Skinner C, et al. Reconstitution of marrow-derived extracellular matrix ex vivo: a robust culture system for expanding large-scale highly functional human mesenchymal stem cells. Stem Cells Dev. 2010. 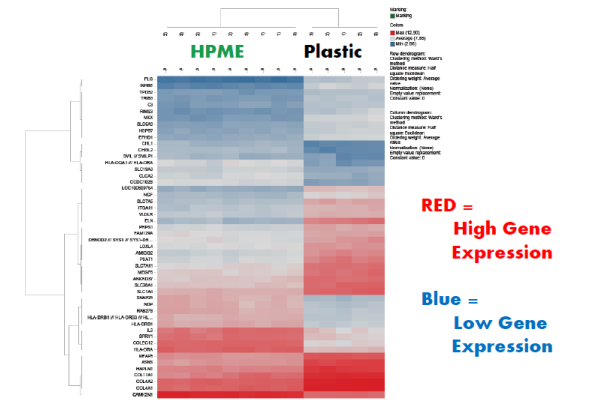 Multiple HPME published studies have demonstrated enhanced proliferation and increased expression of key stem cell characteristics when compared to cells grown on standard tissue culture plastic. 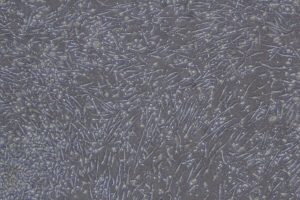 CELLvo human cord blood endothelial progenitor cells (hCB-EPCS) are progenitors of other endothelial type cells. These cells exhibit superior colony forming abilities, greater vessel formation, and greater angiogenic potential in vitro as well as in vivo � when compared to hUVECs. CELLvo™ hCB-EPCs cells are the cell of choice for researchers wanting greater control of their endothelial culture related studies. When grown on the CELLvo™ Matrix, CELLvo™ hCB-EPCs behave more naturally, allowing researchers greater control of their study. CELLvo human bone marrow mesenchymal stem cells hBM-MSCs have been isolated and cultured under xeno-free conditions on the CELLvo™ Xeno Free Matrix. 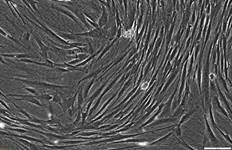 These cells proliferate more quickly, have a smaller cell size and show a higher percentage of SSEA4 (+) cells when compared to BM-MSCs isolated and cultured on other substrates.